French company Archos announced its latest tablet: Archos Family Pad 2. It is the sequel after the Archos Family Pad. This Archos Family Pad was spotted at the CES 2013 two months earlier. Archos FamilyPad 2 has a 13.3-inch display with 1200 x 800 resolution. Since it is suitable for whole family usage, the 13.3-inch isn't too big as there are kids and older people at home. 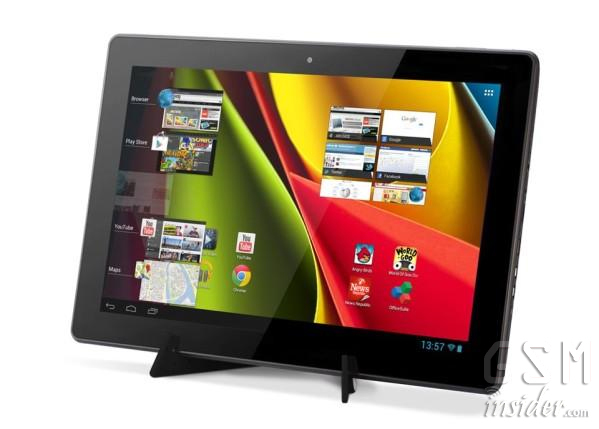 The Archos FamilyPad 2 is powered by a dual-core processor and 1GB of RAM together with 8GB of RAM. You can keep more files in the tablet with MicroSD expansion up to 64GB large. Other specs include 2-megapixels of the main camera, WiFi, MicroUSB 2.0, HDMI port and etc. This Archos FamilyPad 2 is quite heavy with its 1.3kg weight. It runs on latest Android 4.1 Jelly Bean. Archos FamilyPad 2 heading Europe very soon with €299 price tag. (GSM Insider) - Umeox F501 and Umeox F601 Unveiled At MWC 2013 - Another Two 1080p Full HD Devices From China. At the MWC 2013 that just ended two days ago, Chinese manufacturer Umeox did unveil two new devices at the event: Umeox F501 and Umeox F601. The first is the Umeox F601 phablet. It has 6-inch display with 1080p Full HD resolution and 441ppi. It is powered by 1.2GHz MediaTek MT6589 quad-core processor and 1GB of RAM. Umeox F601 has 13-megapixels rear-facing camera and 3-megapixels front facing camera. Umeox F601 has a 8-mm ultra thin body and it runs on Android 4.1 Jelly Bean. The second device is the Umeox F501. It is a phablet with 5-inch display and 1080p Full HD resolution and 441 pixels per inch density. Umeox F501 is powered by 1.2GHz MediaTek MT6580 quad-core processor and 1GB of RAM. The rear-facing camera of Umeox F501 is 13-megapixels while secondary camera is 3-megapixels. It has a 2200mAh battery and runs on Android 4.1 Jelly Bean. No pricing and availabilty of the Umeox F601 and Umeox F501 at the moment. We shall update you soon. (GSM Insider) - XYZ Shouji X1 - 4.5-inch HD Display, Quad-Core And Jelly Bean For $128 Price Tag. One thing special about the smartphones from China is the price is extremely cheap while the specs are on acceptable standard. 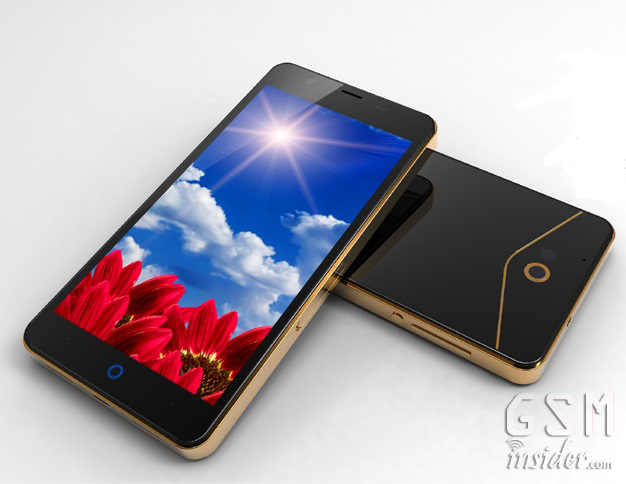 Another low budget quad-core smartphone from China - XYZ Shouji X1 or simply known as XYZ X1 and XYZ Phone X1. It is hard to determine which one is the cheapest quad-core smartphone on the planet. But this XYZ Shouji X1 is one of them. XYZ Shouji X1 has a 4.5-inch display with 1280 x 720 HD resolution. The XYZ Shouji X1 has a high 326ppi. It is powered by MediaTek MT6589 quad-core processor, PowerVR SGX 544 GPU, 1GB of RAM as well as 4GB of ROM. The 4GB of ROM is definitely not enough, so you can expand further with MicroSD up to 64GB large. It runs on Android 4.1 Jelly Bean. XYZ Shouji X1 packs with 8-megapixels main camera and 2-megapixels front-facing camera. Other specs of XYZ Shouji X1 include accelerometer, WiFi, Bluetooth, FM Radio, MicroUSB, 3.5mm audio jack and GPS. The measurement of XYZ Shouji X1 is 135mm x 68mm x 9mm. It is a dual-SIM and dual-standby smartphone that supported 2G network of China Mobile and 3G network (WCDMA) of China Unicom. How much this XYZ Shouji X1 costs? It is priced at RMB $799 ($128). 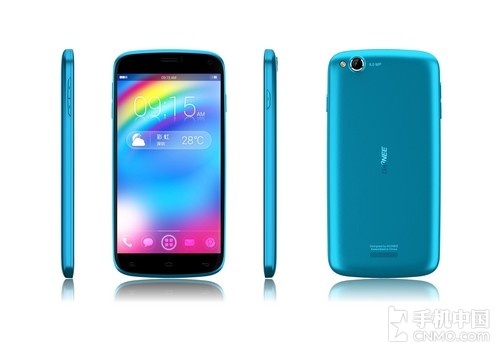 XYZ Shouji X1 on sale in China starts from April 2013. You can reserve it from here. (GSM Insider) - MWC 2013: Gionee GBW192 Officially Announces, 4.7-inch HD display, Quad-core and Jelly Bean. Gionee from China is one of the exhibitors at the Mobile World Congress 2013. At the event, Gionee unveils its latest smartphone: Gionee GBW192. Gionee GBW192 is an ultra thin device with the thickness below 8mm. Gionee GBW192 has a 4.7-inch display with 720p HD resolution. It features 1.2GHz quad-core processor, 1GB of RAM and 4GB of ROM. To make it better, Gionee GBW192 has a 8-megapixels main camera and 2-megapixels camera at the front. It runs on Android 4.1.2 Jelly Bean. No news yet on the availability and the pricing of Gionee GBW192. (GSM Insider) - 5.7-inch ZTE Grand Memo Goes Official, First Snapdragon 800 Device. ZTE Grand Memo is powered by the Qualcomm's 1.5GHz Snapdragon 800 quad-core processor. It is the first device that was announced with Snapdragon 800 processor. Snapdragon 800 was announced by Qualcomm back in the last month. Snapdragon 800 is said to have a 70 percent increase in performance and features Adreno 330 GPU. ZTE Grand Memo has a 5.7-inch display with 720p HD resolution. Besides the 1.5GHz Snapdragon 800 processor, the 5.7-inch phablet is powered by 2GB of RAM and 16GB of internal memory. It is packed with 13-megapixels rear-facing camera as well as 1-megapixel front-facing camera. Other specs of ZTE Grand Memo include NFC, Bluetooth, GPS, DLNA support and a 3500mAh battery. ZTE Grand Memo is supported with 4G LTE network and it runs on Android 4.1.2 Jelly Bean. ZTE Grand Memo heading to China on March 2013 and follow by the European markets later. Alcatel One Touch Star is another affordable handset from the French based manufacturer. 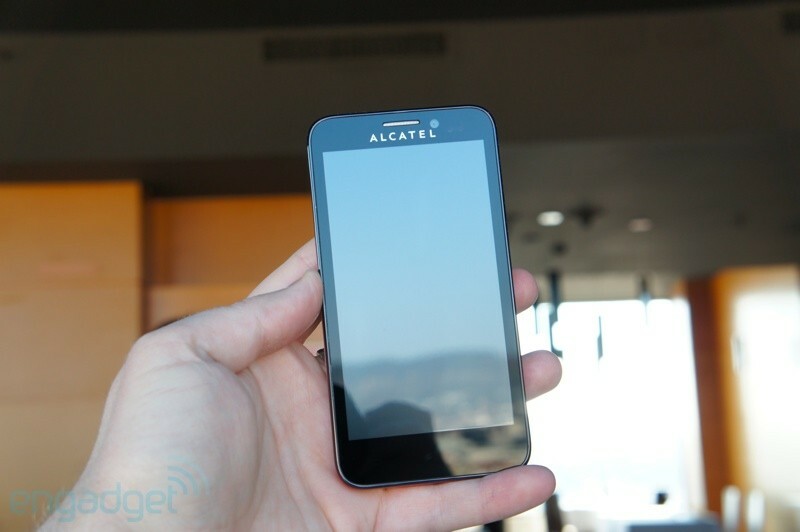 Alcatel One Touch Star made its debut on the floors of the Mobile World Congress 2013. Alcatel One Touch Star has a 4-inch WVGA AMOLED display, 5-megapixels of main camera with LED, 1GHz dual-core processor and a 1500mAh battery. Alcatel One Touch Star is a dual-SIM device, so you can use two SIMs at the same touch. It supported quad-band GSM and UMTS networks. 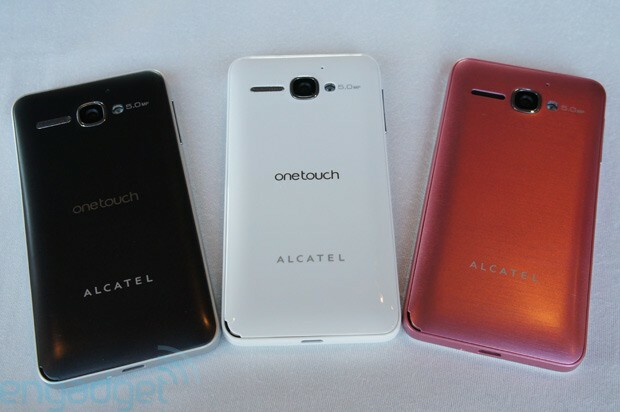 Alcatel One Touch Star is set to arrive on March 2013 and the price should be an affordable device. 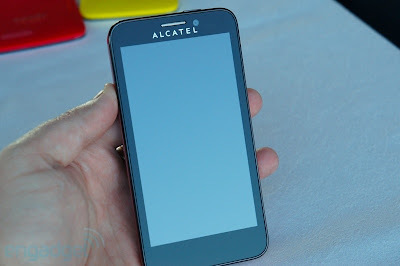 (GSM Insider) - Hands-On Alcatel One Touch Snap At Mobile World Congress 2013. At the Mobile World Congress 2013, Alcatel did showcase the Alcatel One Touch Snap and Alcatel One Touch Scribe Easy. The Alcatel One Touch Snap is a 4.5-inch device while the Alcatel One Touch Scribe is a 5-inch device. 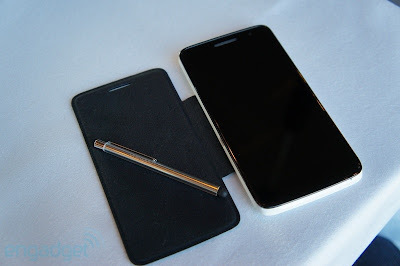 Enjoy Alcatel One Touch Scribe Easy hands-on images at below! The Alcatel One Touch Scribe Easy features a 5-inch WVGA display, not the 1080p FHD display. It is powered by a 1.2GHz dual-core processor and 1GB of RAM. Alcatel One Touch Scribe Easy packs with a 5-megapixels main camera and runs on Android 4.1 Jelly Bean. Alcatel One Touch Scribe Easy is compatible with the GSM and HSPA+ networks. The Alcatel One Touch Scribe Easy comes with a MagicFlip cover. It is a clever magnetic cover with a small stylus. You can use the Alcatel One Touch Scribe Easy with either fingers or stylus. 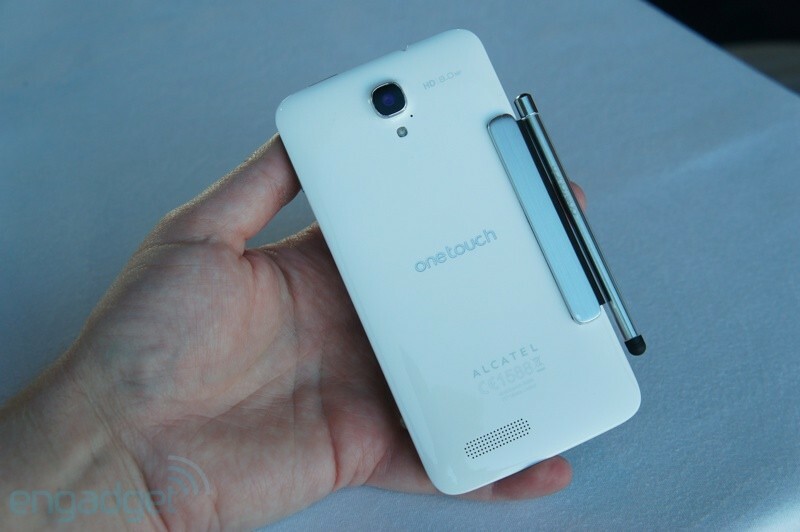 Alcatel One Touch Scribe Easy set for launch on later March this year. 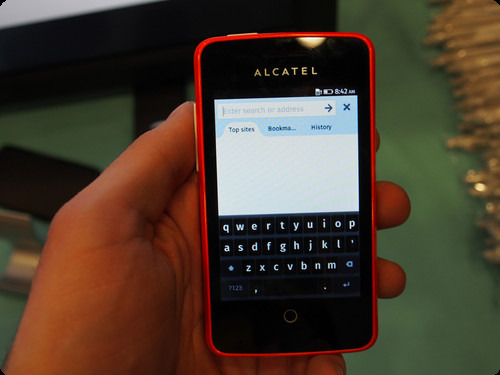 At the Mobile World Congress 2013, Alcatel did showcase the Alcatel One Touch Snap and Alcatel One Touch Scribe Easy. The Alcatel One Touch Snap is a 4.5-inch device while the Alcatel One Touch Scribe is a 5-inch device. Enjoy Alcatel One Touch Snap hands-on images at below! Alcatel One Touch Snapd features a 4.5-inch qHD display, 8-megapixels main camera and 9mm ultra thin body. This Alcatel smartphone is compatible with HSPA+ and GSM networks. It runs on Android 4.1 Jelly Bean. 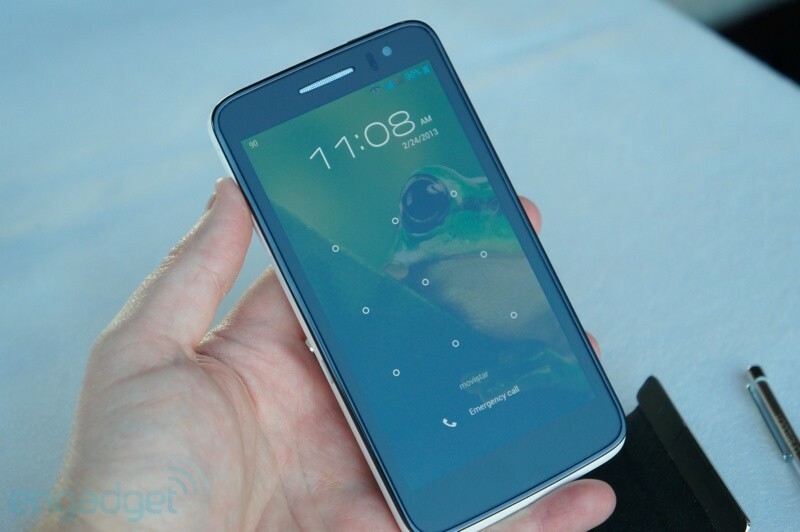 The Alcatel One Touch Snap has silver, white and cloudy white, total three colors. 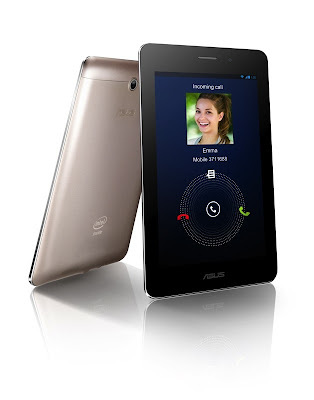 (GSM Insider) - MWC 2013: Asus FonePad Goes Official, 7-inch Tablet That Can Make Phone Calls For $249. The much rumored Asus Fonepad finally goes official at the Mobile World Congress 2013 in Barcelona. This Asus Fonepad was officially unveiled at the Asus Press Conference. It brings the tablet with phone-enabled. Basically, the Asus Fonepad is similar like the Samsung Galaxy Note 8.0. The main feature is a tablet with phone-enabled. 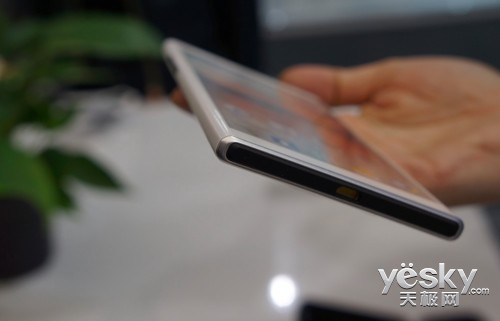 So you can get this type of tablet if you feel the 5-inch phablet isn't large enough. Asus FonePad is powered by 1.2GHz Intel Atom Z2420 processor, 1GB of RAM and a PowerVR SGX540 GPU. It has an HSPA+ radio built in to ensure your data transfer in high speed. Asus FonePad has 16GB of internal memory and supported MicroSD expansion. Asus wants to make sure that more spaces available for heavy users. The display size of Asus FonePad is 7-inch with 1280 x 800 resolution. The main camera is a 3-megapixels while the front camera is 1.3-megapxiel. Asus FonePad runs on the latest Android 4.1 Jelly Bean. To ensure the battery life is long enough for the user, Asus FonePad has a 4,270mAh battery on board. Asus FonePad has a metal finished body with gray and gold color. 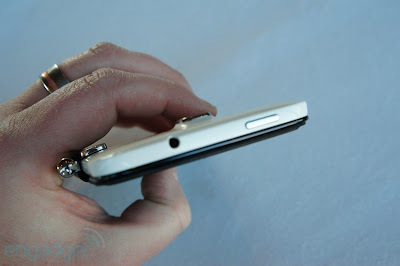 You can easily find out that there are Micro-SIM slot and MicroSD reader hidden underneath the panel at the back . Asus FonePad is priced in the European markets for £179 / €219 while the price in US is $249. 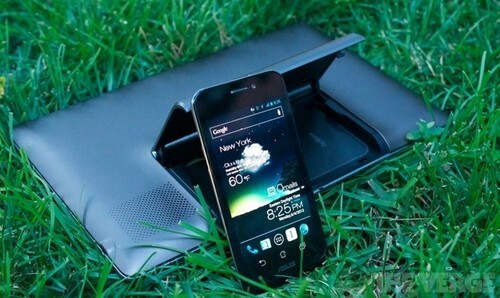 (GSM Insider) - MWC 2013: ASUS Padfone Infinity Officially Unveils, Third-gen Hybrid Device. At the Mobile World Congress in Barcelona, Asus unveils its latest Padfone which is known as the Asus Padfone Infinity. 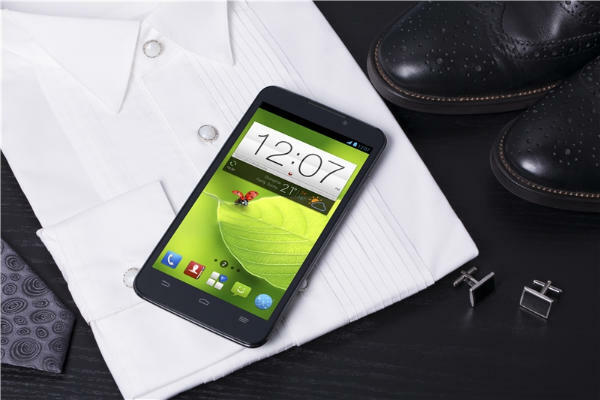 It is the third-gen Padfone from the Taiwanese company. The Asus Padfone Infinity features a 5-inch Full HD display with 441 pixels per inch. It is powered by a 1.7GHz Snapdragon 600 APQ8064T quad-core processor and 2GB of RAM. Let's welcome another member of the Snapdrgon 600 club after the LG Optimus G Pro and HTC One. Asus Padfone Infinity packs with 13-megapixels rear-facing camera and 2-megapixels front-facing camera. Asus Padfone Infinity has a 2400 mAh battery and runs on Android 4.2 Jelly Bean. Other specs of Asus Padfone Infinity include WiFi, Bluetooth, GPS, a MicroSD slot and NFC. That's not all for the Asus Padfone Infinity. It has a 10.1-inch tablet dock with 10.7mm thickness. The resolution of the tablet dock is 1920 x 1800 pixels. Furthermore, the tablet dock of Asus Padfone Infinity has a 5000mAh battery to ensure long battery life for your device. 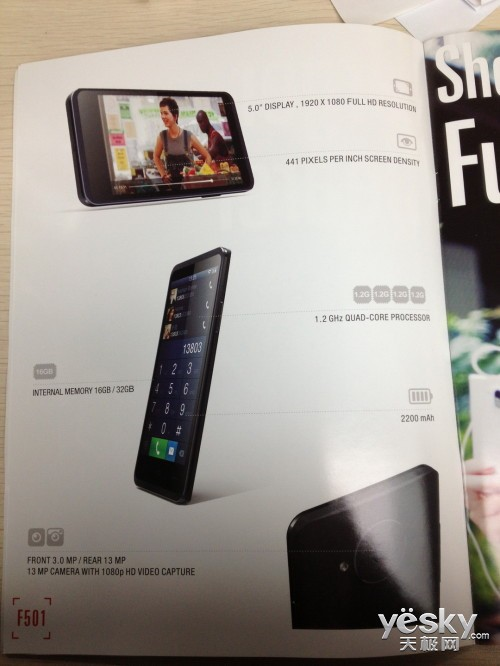 Asus Padfone Infinity has two versions: 32GB and 64GB. It is available in three different colors. It will available in market on April 2013. (GSM Insider) - Sony Xperia Tablet Z Officially Unveils At Mobile World Congress 2013, Price From $499. At the Mobile World Congress in Barcelona, Sony unveils its latest tablet line-up: Sony Xperia Tablet Z. It is a whole new tablet that features the design that is similar to the Sony Xperia Z. You can find the buttons on Sony Xperia Tablet Z look like the buttons on Sony Xperia Z. The Sony Xperia Tablet Z features a 10.1-inch 1920 x 1200 display. The display resolution is WUXGA which is higher than the FHD. Sony Xperia Tablet Z is powered by the 1.5GHz Snapdragon S4 Pro APQ8064 quad-core processor and 2GB of RAM. Sony Xperia Tablet Z packs with 8.1-megapixels main camera and 2.1-megapixels front facing camera. Other specs of Sony Xperia Tablet Z include WiFi, Bluetooth, GPS, NFC, a MicroSD slot and an ultra large 6000mAh battery. Sony Xperia Tablet Z runs on Android 4.1.2 Jelly Bean. The Sony Xperia Tablet Z is similar like the Sony Xperia Z that has the waterproof and dustproof features. WOW! Sony Xperia Tablet Z is available in 16GB and 32GB. The 16GB Sony Xperia Tablet Z priced at $499 while the 32GB Sony Xperia Tablet Z priced at $599. It is available in white and black. However, no release date yet on this Jelly Bean tablet. 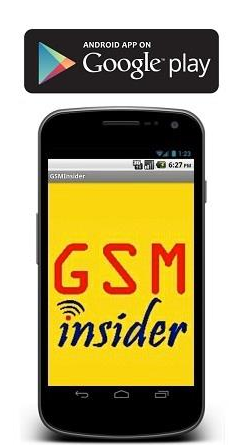 (GSM Insider) - Nokia Lumia 720 And Nokia Lumia 520 Officially Unveiled At Mobile World Congress 2013. At the Mobile World Congress 2013, Nokia officially unveils two new Windows Phone 8 devices: Nokia Lumia 720 and Nokia Lumia 520. The Nokia Lumia 520 boasts to be the world's cheapest Windows Phone 8 device. First is the Nokia Lumia 720. From the name, you can understand that it is lower specs than the Nokia Lumia 920 and Nokia Lumia 820. Nokia Lumia 720 has a 4.3-inch display along with 1GHz Snapdragon S4 dual-core processor. It has 512MB of RAM and 8GB of internal memory. An additional MicroSD slot is available too. Nokia Lumia 720 packs with 6.7-megapixels rear-facing camera and 1.3-megapixel front camera. The 6.7-megapxiels camera is a good one but not yet the standard of PureView. 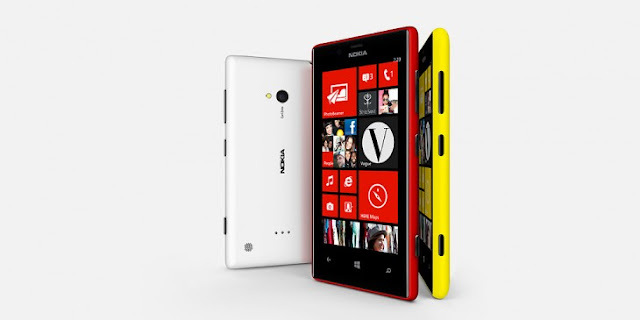 This Windows Phone 8 device vailable in red, yellow, cyan, black and white. It is heading to China and Asia Pacific later this quarter with the price of $341. Second is the Nokia Lumia 520 which is said to be the world's cheapest Windows Phone 8 device to date. 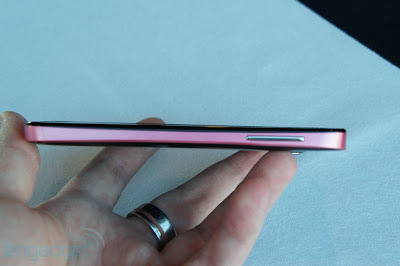 It is touted as the successor of Nokia Lumia 510. Nokia Lumia 520 features a 4-inch WVGA LCD display, 512MB of RAM and 8GB of internal memory. This might be a low end device but it features a MicroSD slot for expansion. The display comes with super sensitive touch support too. Nokia Lumia 520 heads to T-Mobile USA later this year. The price of Nokia Lumia 520 is set at $183. (GSM Insider) - Alcatel Unveils Its Own 5-inch 1080p Device At MWC 2013, Known As One Touch Idol X. At the Mobile World Congress in Barcelona, Alcatel added another new member to its One Touch Idol Series. It is known as the Alcatel One Touch Idol X. 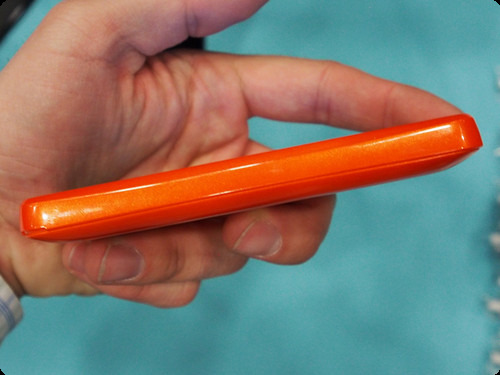 It is another ultra-thin 5-inch FHD smartphone / phablet. Alcatel One Touch Idol X has a 7mm ultra thin body but isn't anywhere near the world's thinnest smartphone Alcatel One Touch Idol Ultra with just 6.45mm. Alcatel One Touch Idol X features a 5-inch IPS display with 1920 x 1080 Full HD resolution. The processor of Alcatel One Touch Idol X is the 1.2GHz MediaTek MT6589 quad-core processor. The low budget processor is definitely going to bring the price down. There are going to have different versions of Alcatel One Touch Idol X. The first version features 13-megapixels while the second version features 8-megapixels. There are also dual-SIM version and single-SIM version. Sounds complicated, right? This could be the strategy from Alcatel to offer more varieties. 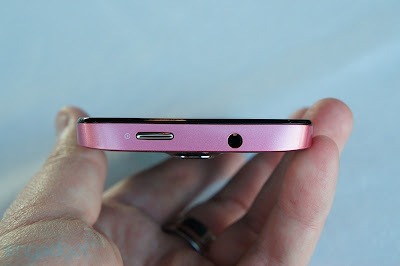 This Jelly Bean phablet has 16GB of internal memory and supported a MicroSD expansion as well. No pricing and availability of this Alcatel One Touch Idol X yet. 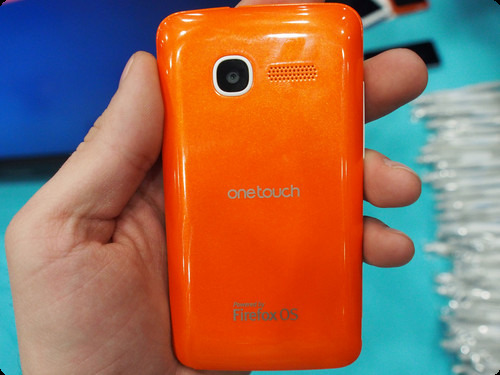 (GSM Insider) - Alcatel One Touch Fire, The First Firefox OS Handset Made Appearance At MWC 2013 [Hands-On]. 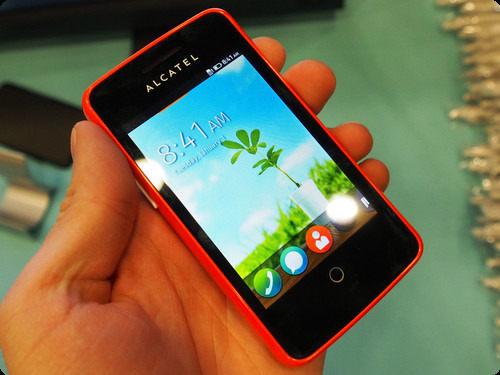 At the Mobile World Congress 2013, Mozilla officially unveils the first Firefox OS powered device: Alcatel One Touch Fire. 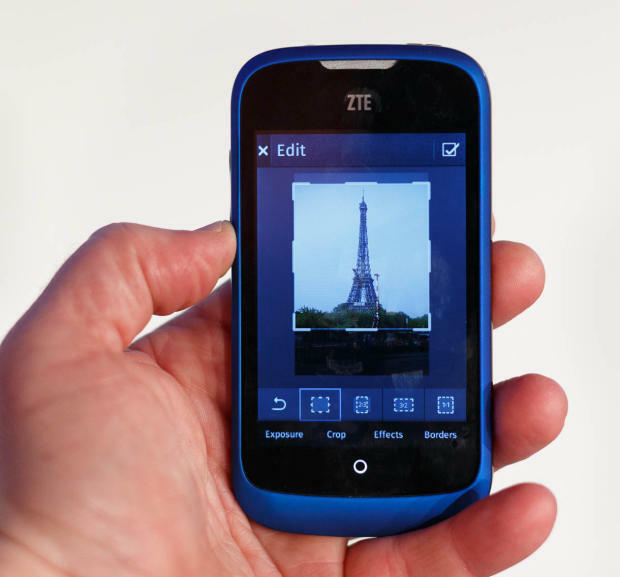 ZTE Open and Alcatel One Touch Fire are among the first batch of Firefox OS devices. Alcatel One Touch Fire runs on the latest Firefox OS which is based on the HTML5. Applications like Cut The Rope, Nokia HERE Maps and Firefox Browser are heading to the app store soon. 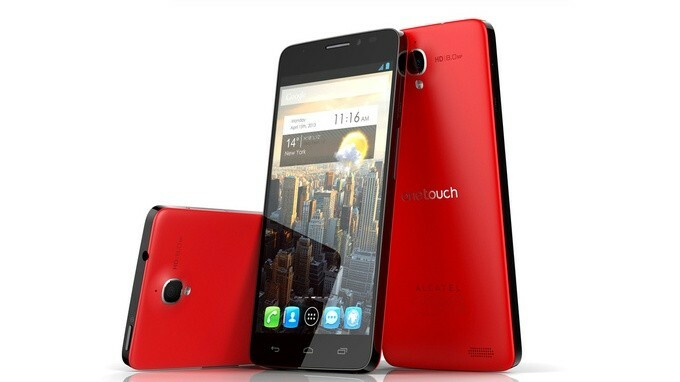 Alcatel One Touch Fire is heading to China. Europe and Latin America on June this year. Enjoy the hands-on images from the Mobile World Congress 2013. 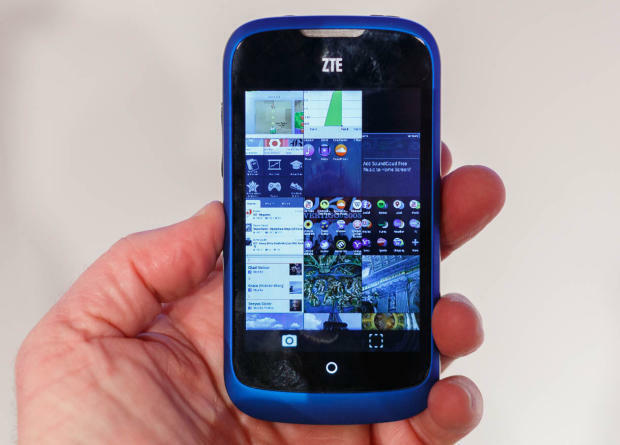 (GSM Insider) - ZTE Open Officially Unveils At MWC 2013, The Firefox OS Handset Gets Hands-On. 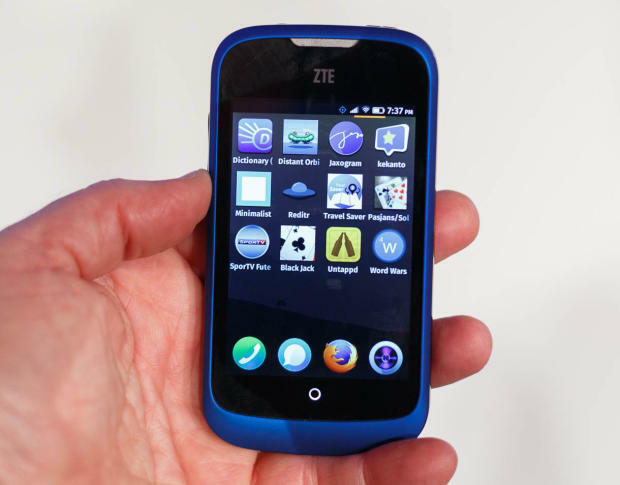 At the Mobile World Congress 2013, Mozilla officially unveils the first Firefox OS powered device: ZTE Open. ZTE Open and Alcatel One Touch Fire are among the first batch of Firefox OS devices. ZTE Open is a low end and affordable smartphone, so the specs are just moderate. ZTE Open has a 3.5-inch display but the resolution remains unknown yet. The processor is a 1GHz Cortex A5 single core processor. It has 512MB of internal memory and extra 2GB of memory card. The ZTE Open packs with 3.2-megapixels camera at the back. The ZTE Open will launch in the Latin America and Europe in Summer this year.